Maurice H. Wolfe was born in November 1839 in Cratloe, County Limerick, Ireland, to Philip M. "Old Phil" Wolfe and Elizabeth Herlihy. His siblings included Joseph Philip (b. 1841), Mary (b. 1849), Cornelius (b. 1858), Philip (b. 1859), Michael, Bartholomew "Batt," and Patrick (b. 1866). Nothing is known of Wolfe's early years and education. He likely was the same Maurice who, on August 10, 1863, arrived in New York from Liverpool on the Hecla. 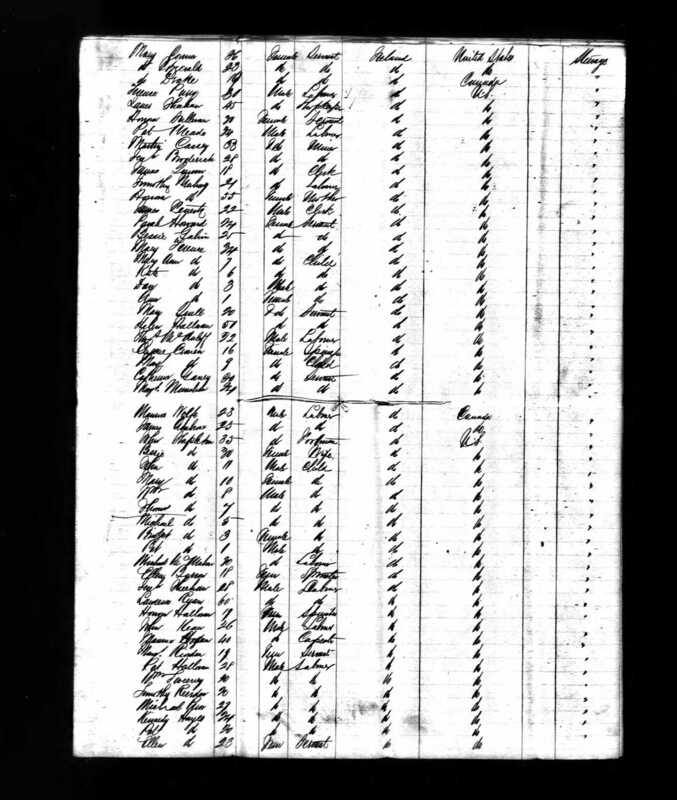 The manifest lists him as a laborer with a final destination of Canada. However, by September he had moved to Washington, D.C., where his uncle Michael Herlihy lived. Herlihy's daughter Julia was married to John Grey, editor of the Washington Chronicle. On April 18, 1866, Wolfe enlisted in the U.S. Army in Washington, D.C., and by May 12 of the following year he was with Company F, 30th U.S. Infantry, stationed at Fort Sedgwick, Colorado Territory. His enlistment papers describe him as a laborer, five-feet-nine inches tall, with gray eyes and light hair. A year later Wolfe had moved with his regiment to Fort D. A. Russell, in the Dakota Territory, and by the end of the year he was in Wyoming Territory, at Fort Fred Steele, on the North Platte River. Both forts had been established to help protect workers on the Union Pacific Railroad from Indians. 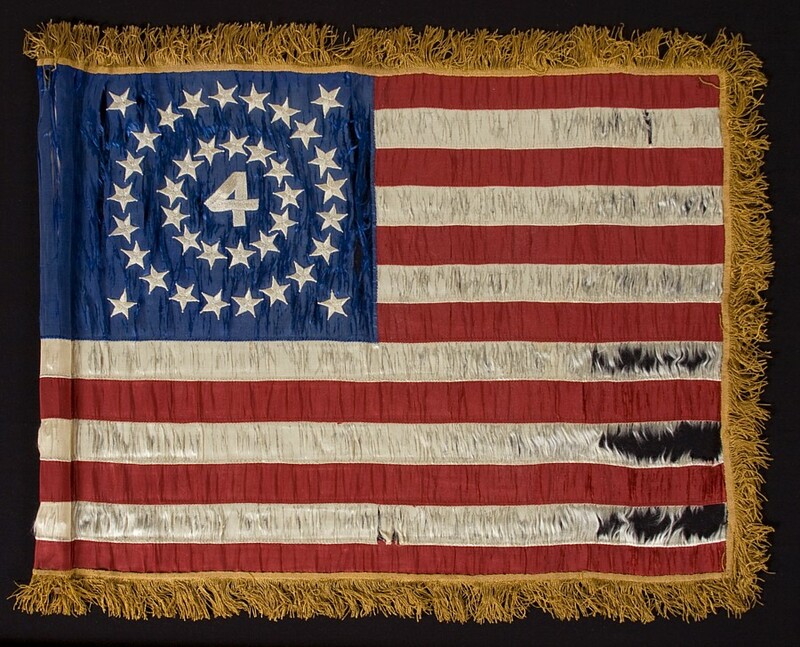 On March 31, 1869, the 30th U.S. Infantry Regiment consolidated with the 4th, and Wolfe became a quartermaster sergeant in Company B, 4th Infantry. By March 1870 the regiment had returned to Fort D. A. Russell, and that spring it traveled to the newly established Camp Brown, Wyoming Territory. Wolfe wrote a relative on May 10, 1870, of having crossed the Rockies twice. In 1871, a small detachment of the 4th, including Wolfe, traveled to the area around Louisville, Kentucky, in order to battle moonshiners. In a letter to a relative, Wolfe wrote disapprovingly of those who drank, citing the unfortunate example of another Wolfe. Late in 1873, Wolfe was back in Wyoming, at Fort Bridger, and there he got into a fight with an officer who called him a "dirty catholic Irishman," an incident that led to Wolfe's demotion. In a letter Wolfe mentions having written an anonymous report to a Saint Louis newspaper, the Western Watchmen, that complained of the treatment of Catholics in Wyoming and admits that some in the regiment suspected him of being the author. Given the opportunity to apologize in exchange for the restoration of his rank, he refused. Wolfe was discharged a private on June 23, 1874, at Fort Bridger, and three days later was naturalized an American citizen. He returned to Washington, D.C., and there, on June 9, 1876, he married Mary Carmody, also a native of Ireland. The couple had two children: Philip Maurice (b. 1877) and Mary Ellen (b. ca. 1881). By 1877, Wolfe was employed on the District police force as a clerk at the 4th Precinct Station, but he was fired on May 7, 1879, for striking a prisoner. The next year he took a job as a census enumerator and is listed in the City Directory from 1893 to 1895 as a clerk. In 1906 the directory lists him as a caulker. On December 7, 1907, the Washington Post reported he had been appointed a "special policeman" for duty at Kalorama Avenue and Ontario Road NW. The 1910 federal census describes him as a watchman. Wolfe died sometime between that census and March 9, 1919, when his wife died at their daughter's home. 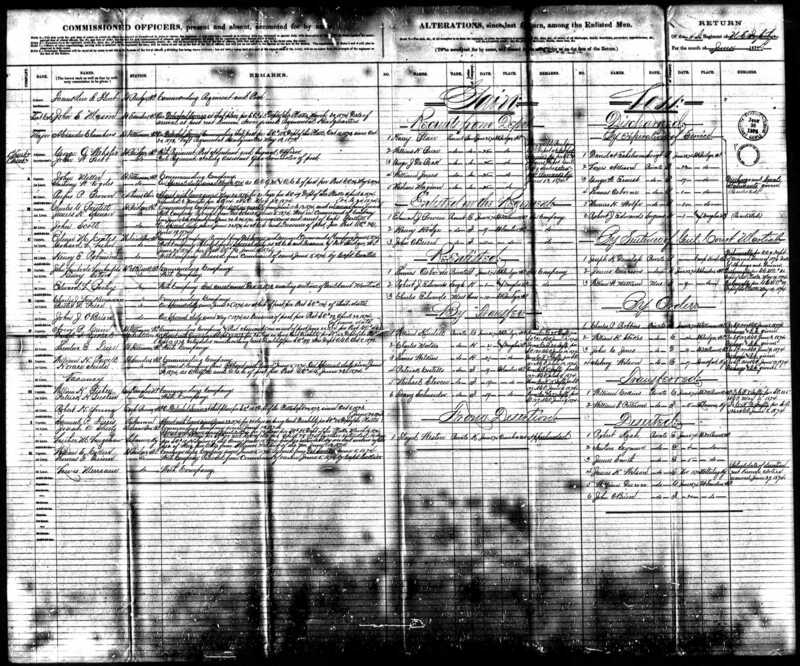 Mary Ellen Wolfe married Joseph F. Krieg, the son of Irish and German immigrants, and the couple had at least three daughters and two sons. Philip, who never married and worked as a plumber, died on March 5, 1921, and is buried at Mount Olivet Cemetery in Washington, D.C.
Michael, I am in first rate health. I was never better in my life. This Rocky Mountain air agrees with me first rate. I have everything that would tend to make life comfortable. But still at night when I lay in bed, my mind wanders off across the continent and over the Atlantic to the hills of Cratloe. In spite of all I can never forget home, as every Irishman in a foreign land can never forget the land he was raised in. But alas! I am far away from them old haunts.